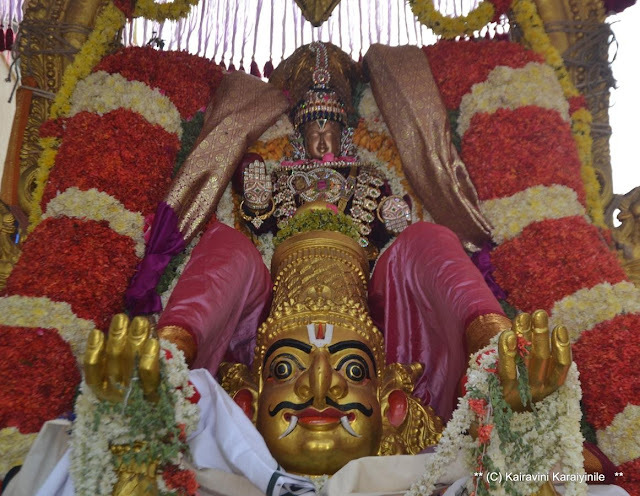 The annual brahmothsavam at Mylai Madhava Perumal Temple is on and today [22nd Apr 2017 ] being the 3rd day it was Garuda Sevai. 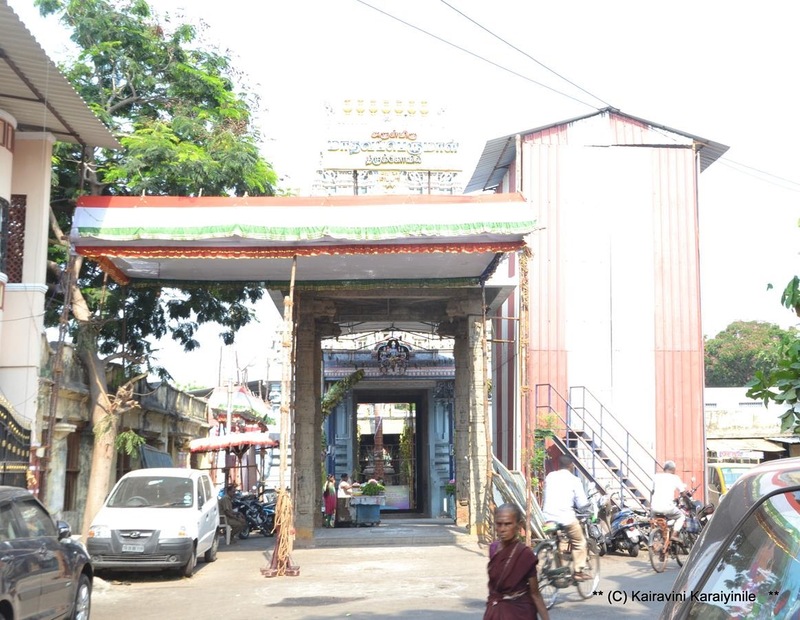 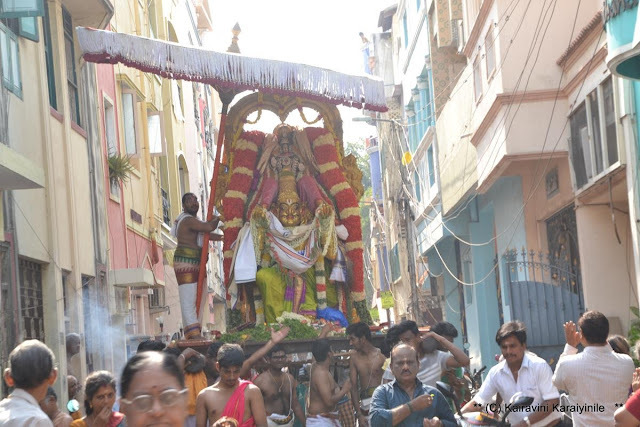 …… one could imagine smaller cars struggling in the bylanes here….the purappadu grandly wound its way in the streets. 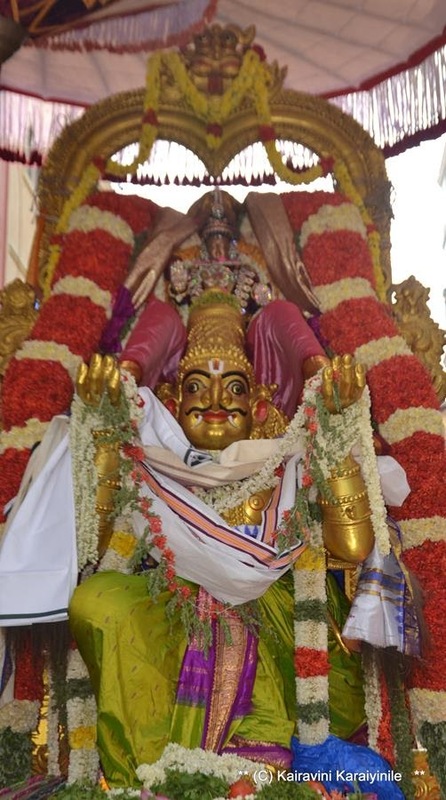 Sri Peyalwar was on Hamsa vahanam having ‘ethir sevai’ of Garuda vahanam. 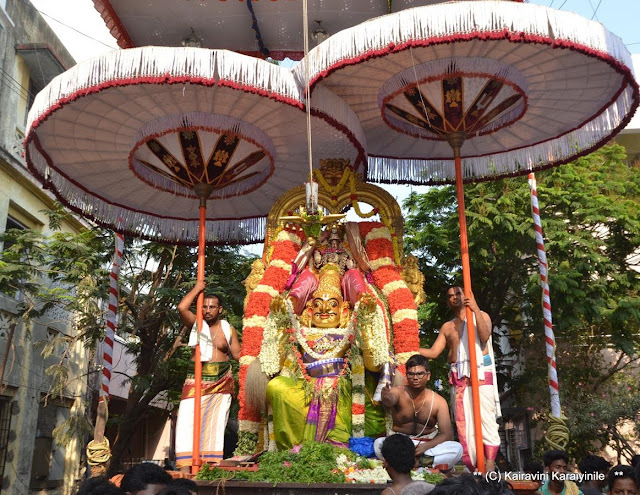 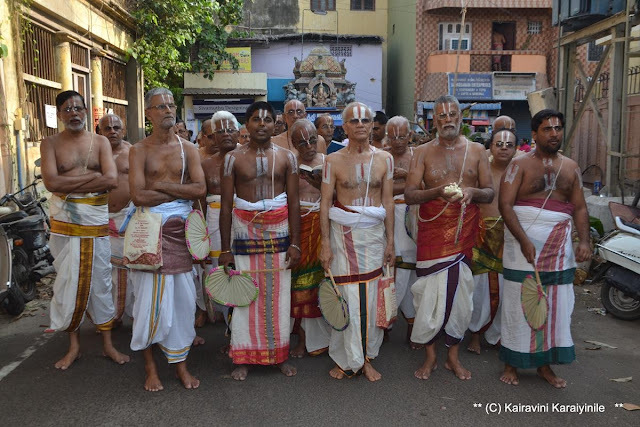 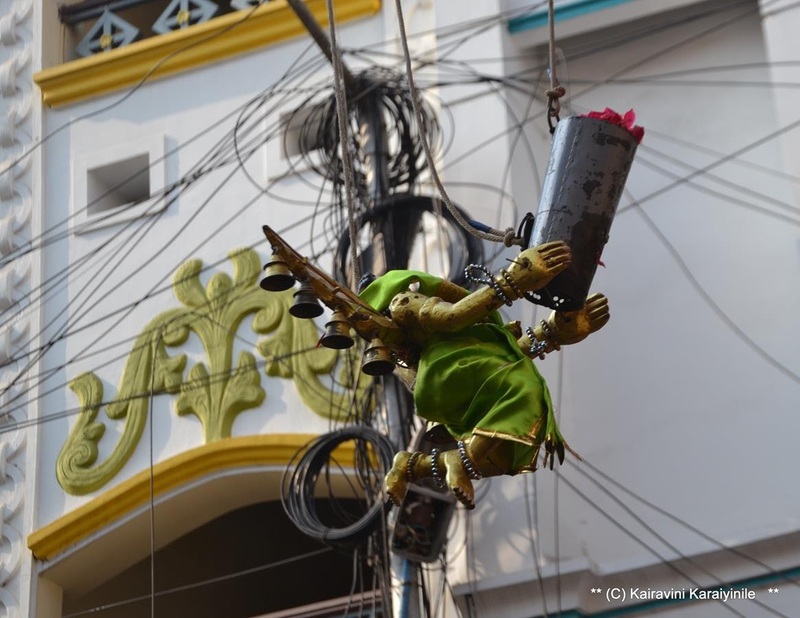 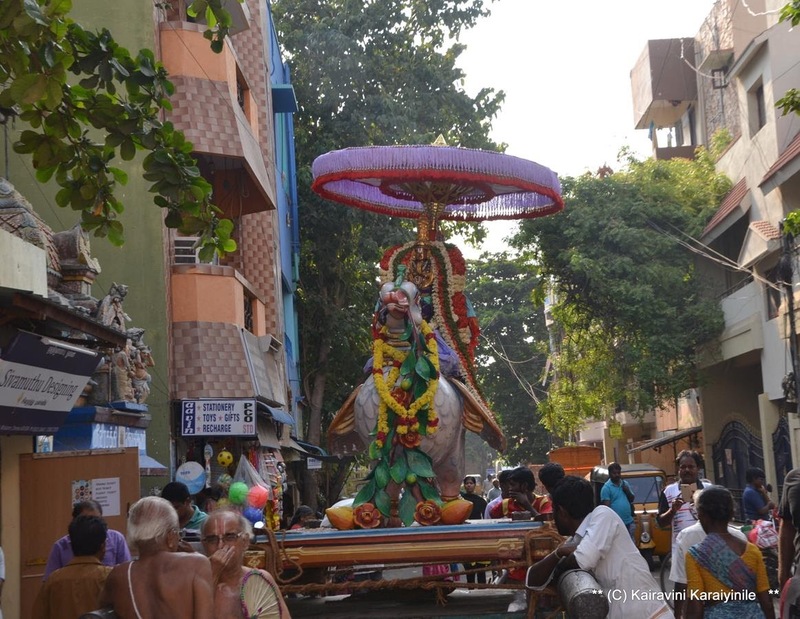 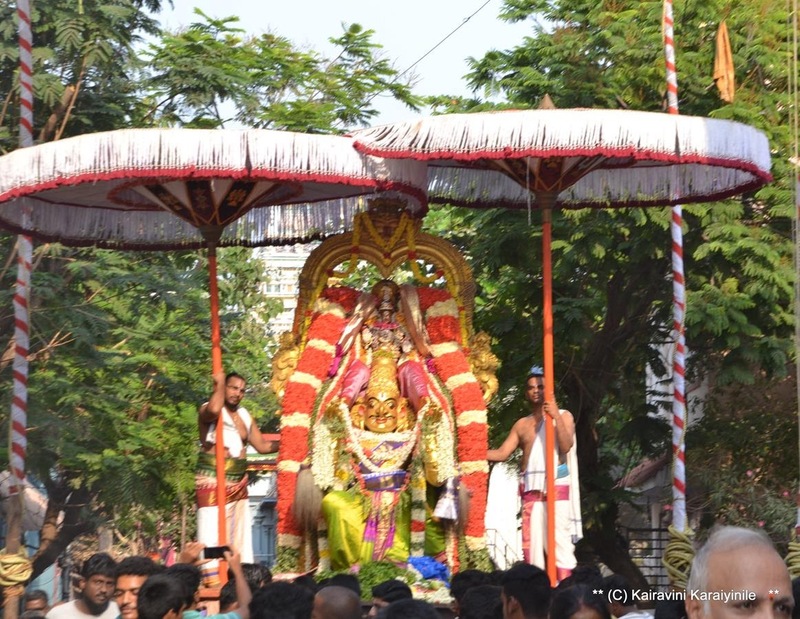 In an unique display, there was a small Garuda contraption hanging by thread, moving, moving, moving and then closer to the vahanam, pouring flower petals on the vahanam at on the Lord.